Progressive Chat: Alt Right Takes over Trump campaign. The crazies are running the asylum now. Alt Right Takes over Trump campaign. The crazies are running the asylum now. The alt-right is a segment of right-wing ideologies presented as an alternative to mainstream conservatism in the politics of the United States. The alt-right has lived in the dark corners of the interwebs and widely circulated false internet memes used to advance or express their beliefs, often on websites such as Breibart News. It’s the website that right-wing talk radio hosts wake up and read every morning. It has a deep following in the far fringes of the Republican Party -- the most openly xenophobic and conspicuously race-conscious nationalists in the conservative movement. To give you a sense of what we mean, Breitbart News once published a piece attacking Bill Kristol, the conservative political pundit, with a headline that called him a “RENEGADE JEW.” That's not the kind of language you'd see even on Fox News, let alone a normal media outlet. 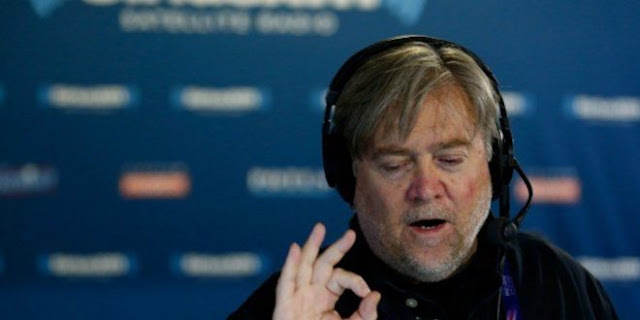 "Mr. Bannon, once recognized by Bloomberg Politics as the 'most dangerous political operative in America,' will oversee the campaign staff and operations," proudly touted a press release by the campaign. What we know is the the alt-right has crawled out of the zest pool it hid and is running The Donald's campaign. The crazies are truly running the asylum.